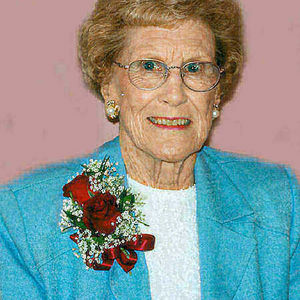 Dorothy Klosterman, 90, Breckenridge, MN, formerly of Mooreton, ND, passed away on Thursday, December 20, 2012 at St. Francis Healthcare Campus, Breckenridge, MN. Funeral Mass will be on Thursday, December 27, at 11:00 AM at St. Anthony's Catholic Church, Mooreton, ND with Father Peter Anderl as celebrant. Visitation will be one hour before the service at the church. There will be a Christian Mother's Rosary said at 10:30 AM the day of the service at the church. Interment will be at St. Anthony's Catholic Cemetery, Mooreton. Arrangements are entrusted to Vertin-Munson Funeral Home, Wahpeton, ND. Dorothy Angeline was born on September 3, 1922 to Albert and Hedwig (Veit) Henkenius near Mooreton, ND in Antelope Township. She attended school at the Mooreton Parochial School and Antelope Consolidated School and graduated from Wahpeton High School. She went on to receive her teacher's certificate from Valley City State Teacher's College. Dorothy taught school for seven years and served as substitute for fifteen years. Dorothy was united in marriage to Joseph W. Klosterman at St. Anthony's Catholic Church on June 30, 1945. Dorothy was very active in the church where she sang in the choir and served as choir director for 13 years. She was active as a Religious Educator for the church and served on the Adult Religious Education Team for the Fargo Diocese for seven years. In 1975, Dorothy was appointed by Bishop Driscoll to activate the Right to Life Organization in the Southeast part of the Diocese which included six parishes. Dorothy was also interested in keeping the history of Richland County alive by being co-chairperson of the Richland County Historical Book Committee in the mid-70's and serving with Joe on the Mooreton Centennial Book Committee in 1984. Dorothy and Joe resided in Mooreton until they retired in 1992 and moved to their summer home on Blanche Lake and spent their winters in Brownsville, TX. Joe passed away on June 8, 2002 and Dorothy moved to Wahpeton, ND. She was currently a resident at St. Francis Healthcare Campus in Breckenridge. Dorothy enjoyed ceramic painting, gardening, was an excellent cook and enjoyed time spent entertaining her nieces and nephews who she thought of as her own children. Dorothy is survived by her sister, Frances Waxweiler, Breckenridge, MN; and many nieces and nephews. She was preceded in death by her parents; her husband, Joe; and her siblings, Caroline Muir, Amelia Jaeger, Elizabeth Lund, Adolph Henkenius, Marie Weber, Marcella Luebke, and Joseph Henkenius. Joe and Dorothy were my godparents. They were wonderful people. We will miss them.